Take the Pekoe Water Challenge! Hot out there, huh? We’re willing to bet a few of you forgot what DC summers were like during the winter. Heat, yes, but also that glorious, prototype East Coast humidity. You can see the haze hanging over the Potomac, and you can feel the sweat pool in the small of your back, and you think to yourself “Man, these August days are really something!” Then you remember that it’s only June, and you burst into tears. Don’t worry. It does get better, and it normally doesn’t stay this way for all of June. Believe it or not, summer weather has a bit of tendency to fluctuate. It’s just that when we get one of those five or ten day stretches of heat, the humidity makes it seem intolerable. So, listen. It’s pretty easy to forget to handle a pretty crucial part of taking care of yourself when you are distracted from the heat and humidity, but please remember to stay hydrated. “Well, that’s ridiculous,” you are probably thinking. “I’m covered in sweat and really thirsty. Of course I’m going to stay hydrated.” But see, since you are covered in sweat and really thirsty, you are already dehydrated, and probably have been for a while. A common misconception is that being dry-mouthed is the starting point of dehydration. It isn’t. It’s the sadly belated point where your body lets you know that you need some water. And you might not realize this, but your body needs quite a lot of it. How much exactly? The commonly accepted amount is 64 ounces per day for a body to run efficiently, and if you remember your multiplication tables, means that you should drink 8 8 ounce classes per day. Now, nobody is expecting you to drink that all at once. We would recommend carrying one of those fancy, new-fangled water bottles, sipping periodically, and refilling it when needed. So why should you do that? Why carry around a bucket of water? What happens if you don’t? Lots of bad stuff. Lack of Energy: Tired all the time despite sleeping 8 hours or more a night? It might have something to do with your body having to expend more energy for basic tasks because it doesn’t have the materials that it needs. Like water. Dry Skin: Hey, Flakey McAshington, has it occurred to you that you might not have to spend that much money on lotion every week? Seriously. 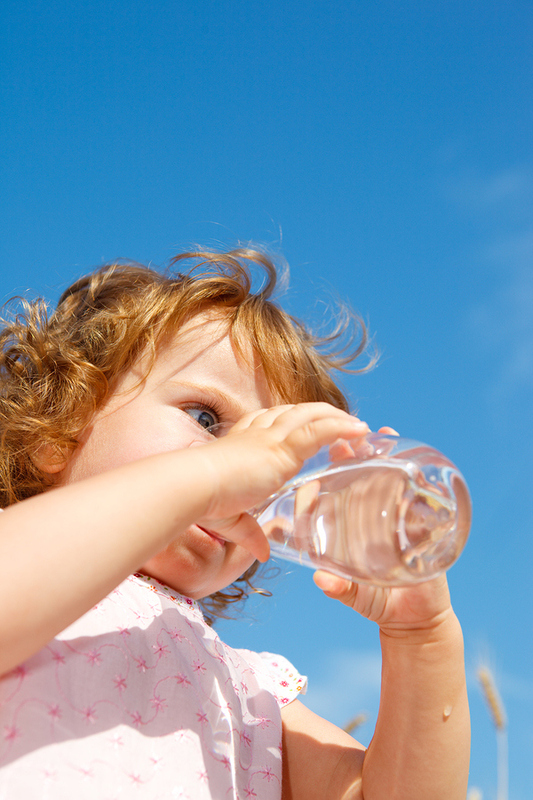 If you drink enough water you’ll find that your skin will rebound a lot faster than it used to. Headaches: There are lots of different causes of headaches. But they happen a lot easier if your body is dehydrated. Constipation: We’ll avoid a pithy remark here. Just drink water, ok? Do your friends at Pekoe a favor: For one week, try actually drinking 8 glasses of water every day. And we mean WATER, not sports drinks, or Red Bull, or juice. We mean just plain water. Just try it. See what happens. We guarantee you that your skin will look better, you will have more energy, and you will be able to concentrate better at work or school. It works! It really does! And with summer here your body needs it more than ever. Here’s some tips to make water interesting and delicious!! Hydration pro tip #1: Drink room temperature or warm drinks instead of ice cold. You shouldn’t be using a lot of ice in your beverages anyway, your body takes a lot of energy to warm it up before digestion, which increases your body temp! If you’re ingesting warmer drinks, your body can easily acclimate to the heat.